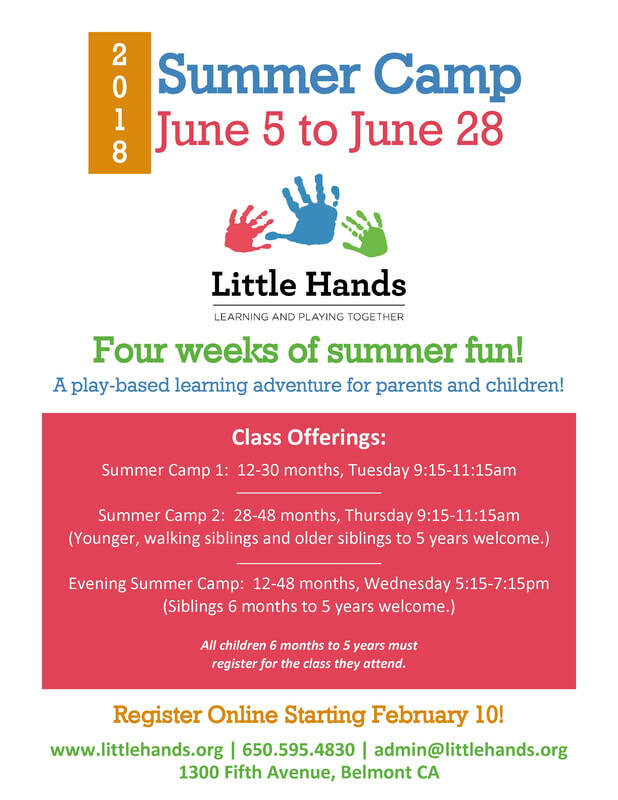 New and returning Little Hands families are welcome. All children 6 months to 5 years must register for the class they attend. Tuition rates are lower than other summer camps in part because there is one teacher per class, and parents stay during sessions rather than other aides. Co-Op Requirements: The school year co-op job fees and requirements are waived for the Summer Camp period. Registration begins February 1 for returning families and February 10 for new families.